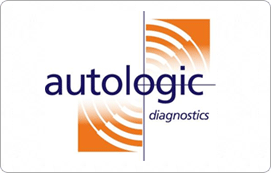 Using state of the art Autologic diagnostic equipment gives us full dealer level capabilities for BMW fault code reading, control unit replacement, programming/coding, adjustments, calibrations, service resets and software updates. We can also diagnose a wide range of other makes including Mercedes Benz, VW/Audi and post 2005 Landrover, Range Rover vehicles. We can diagnose your electrical or mechanical problems quickly and accurately using both experience and top level equipment. Anything from Engine faults, ABS/Traction control faults, Electronic Air suspension faults, soft top issues, or general electrical problems contact us now for honest, helpful advice on whatever type of problem your vehicle has.